Perhaps the quintessential Southern California beach community, Oceanside is 35 miles north of downtown San Diego and 83 miles south of Los Angeles. Its population is just over 180,000 active, youthful residents with a median age of 39 years. The city has miles of beaches, 30 city parks, a substantial pier and marina, recreation centers, golf courses and is well-known for its watersports. In fact, Oceanside is home to the California Surf Museum. It is also the official starting point for what many believe to be the toughest sporting event in the U.S., the 3000 mile “Race Across America.”Education is important to the city’s residents, with several schools available to choose from. 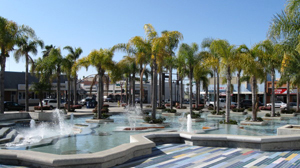 Residential property in Oceanside ranges from modest single family homes and condominiums, to multi-million-dollar beach residences – many of which are being purchased as vacation homes. © 2018 Hunter Sill. All Rights Reserved.